Starting at 10 AM on July 17th and running through around 10 PM on July 19th, the SGC Convention is the place to be for youth in the greater Dallas, TX community. This convention allows gamers from all over to show their passion for video games by cosplaying (costume-playing) as their favorite characters. It will net the lucky winners cash prizes (!) and allow players to interact with voice actors, YouTube stars, and fellow fanatics. It’s an undisputable fact that millions of kids are fans of video games. When we conducted extensive research, however, we couldn’t find quite as many who were fans of having juvenile bunions! Using custom orthotics. There is a correlation between overpronation and the worsening of a bunion. The reason behind this is that this pronation abnormality places excessive pressure on the inside edge of the foot, especially in the area where bunions develop. Custom orthotics—like the kinds we prepare at our offices—will help to correct any pronation issues. Wearing appropriate footwear. Shoes that do not fit properly, especially pairs that are too tight, can exacerbate this condition. Make sure that your child has footwear that is roomy in the front. If he or she cannot wiggle his or her toes, then find a different pair. Surgery. We always do our best to use conservative, nonsurgical treatment methods for foot and ankle conditions, but sometimes surgery becomes a necessary option. To prevent the issue from causing painful limitation of activity, the alignment of the bones and connective tissue may need to be corrected. 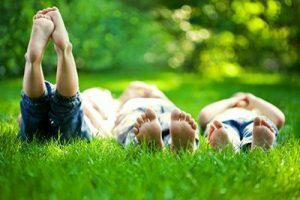 Here at Dallas Podiatry Works, there is nothing better than knowing we were able to help a child affected by a painful foot condition like juvenile bunions. We are committed to restoring the health of our young patients, so they can enjoy favorite activities and lead normal lives. Our caring, expert team is ready to help your child today, so schedule an appointment at either our Plano or Dallas, TX offices online or by calling toll-free 972.566.7474.